[Interior with wallmap.] - UNGER, W.
Title : [Interior with wallmap.]. Map maker : UNGER, W.. Date : Amsterdam, c. 1870. Description :Scene of a painter and his model set in an old Dutch interior with a wall map of Holland in the back. 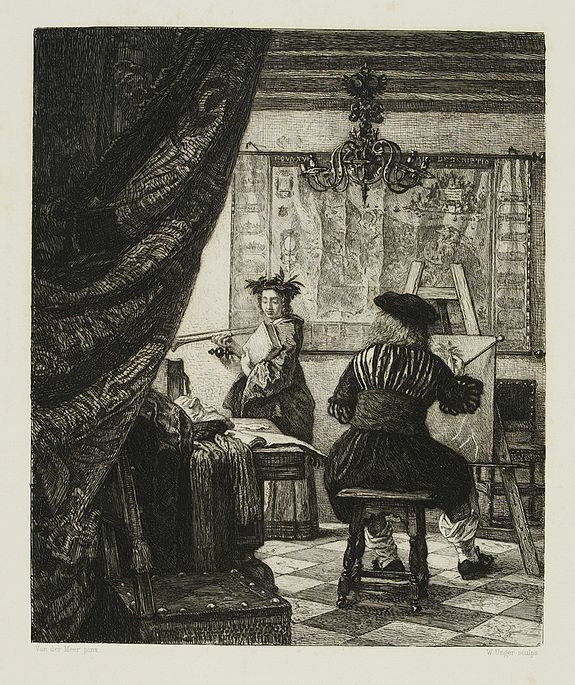 Etching by Willem Unger after a painting by Joannes Vermeer. Condition : Etching. Printed on heavy paper. Some light marginal brown spotting.